We took the summer off to record this record. We were driving Jesse (Cannon) nuts by camping out in his studio. I was up to writing at all hours of the night, taking brief naps under the piano. In the end we had 27 tracks from which to assemble this album. 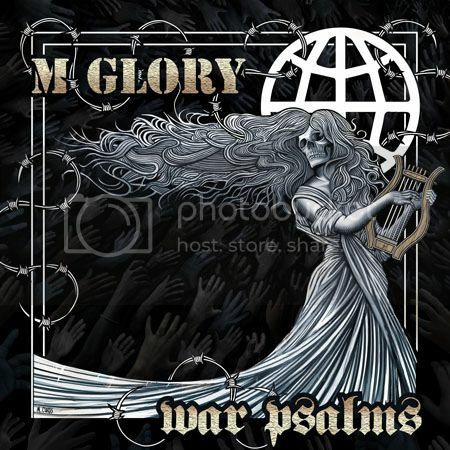 People who like earlier M-glory are definitely gonna like it. It’s faster, heavier, & more raw & stripped down than Poets, but retains that anthemic morning glory message. Brian Viglione (dresden dolls, and now violent femmes) added massive strength to the entire record with his powerhouse drumming style. Music is a forward moving journey & I can’t wait for it to be released. Everyone who’s heard it agrees that this record rocks.